Edmonton. The Lion's Head Pub. 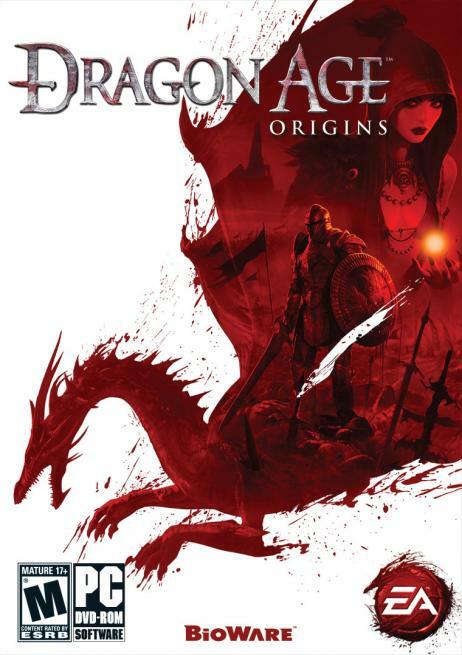 Several drinks in, I find myself in a conversation with Dragon Age: Origins lead designer Mike Laidlaw about the standards Sir-tech set with Wizardry: Proving Grounds of the Mad Overlord. As the drinking continues, we exchange stories about battling 99 berserkers in The Bard's Tale, interacting with Zombie #1201 in Planescape: Torment, and which characters voiced by the late Tony Jay had the most impact on us. Not your typical bar conversations, in other words. GB: From what I've played so far, the game is very linear, at least during the first few hours. At what point does it open up to free exploration? Mike: Yeah. Whereabouts are you? GB: I just drank the darkspawn blood to become a Gray Warden. Mike: Oh, yeah. You've got one dungeon, and then you get the world back. It's going to open up a lot. The reason we have a linear opening is largely for a couple of reasons: one, to establish the setting and story. Because it's a brand new IP, if you just drop people into a world they don't know, then there can be kind of like a degree of confusion. And we're trying to build a story that's got its own dramatic, you know, impetus, and that kind of stuff. So I think a linear opening causes people to kind of understand, okay, here's the role. Here are the events that lead to me becoming a Grey Warden proper, which you just did. Then you basically get to see how that plays out. And at that point, what you're about to come to the realization of is that I'm going to need to gather an army. And at that point, it's up to you. How are you going to do it? Because you basically take charge. GB: So when the world map opens up, is it in traditional Baldur's Gate style, where you have something like 30 locations, and only certain ones are available depending on what you've learned or explored previously? Mike: Yeah. We mark your map. You can see your progression as you move through it. You reach locations, and then you go back into another one, and away you go. You can have random encounters on it as well. You can run into roving groups of darkspawn, that kind of stuff. GB: Okay. So if you find yourself needing to gain experience or more coin, can you travel back and forth to different areas in order to take advantage of the random encounters? Mike: Yeah. Actually some people we don't want people necessarily just grinding, or just infinite respawn kind of stuff. It's a closed economy, by deliberate choice, because there comes a point at which, you know, people are like level 99 and the game's trivial. Or you have to balance the game to the point where you run into the problem with everyone having ridiculous equipment that they are like, (I'm a soldier of the banner!) And the people are like, (Why are you wielding that glowing three-handed sword?) So I mean, yeah. We try to keep it within a range. But at the same time, yes. A lot of people actually will go through and do part of a quest, pause, and then go back and do part of another quest, then go back as well, because it lets them kind of gather items and equipment from some of the easier frontends, and then they dive into the deeper dungeons. It's really up to you. GB: So once it opens up, I would assume that there are some story-driven elements where for periods of time, you have to go through this path or that path to progress the story. But what percentage of the game would you say is opened up to free, non-linear exploration? Mike: Eighty. And I know what you're thinking. You're thinking, "I've just went through a fair amount." But the thing is, it is a big game. There is an awful lot of game where you are completely in the driver's seat. And there are parts where what I see is that people get in that head set where they're like, "Oh, my God. I have to do this." And you don't. Like you could turn around and leave, and come back later. But they go through the Brecilian forest. They go to the West Brecilian forest, and they go to the East Brecilian forest, and then they go back to the West, and they complete this quest. And then they go into this dungeon ruin. Then they go to the next level, and the next level, and they like never turn back, because they're kind of excited to see it play out. And that's pretty cool to me. It's like when you feel like you just want to know how it turns out, and it pulls you in. I hope no one gets frustrated by it, because they certainly have the option to U-turn, and take a little break, go hit a shop, go back to camp and heal, all that kind of stuff. GB: Interesting. Now, there are conflicts with the protagonist and particular followers over different decisions you have to make in the game... but are there ever conflicts amongst the followers themselves? And can it result in a battle to the death, or anything else extreme in nature? Mike: We moved away from any that are kind of outside of your influence. But [the GamesCom demo] you'll actually see tomorrow, there's a conflict with followers where they turn on you. So I think that's what you're looking for there. And yes, there are instances of that. There are instances where they're threatening to abandon you, that kind of stuff. And the approval system is part of that. I don't know if you're far enough, but if you check out Alistair, he's got an approval button that determines how he feels about you. You know, your choices you made in the Korcari Wilds, so did you kill the soldier or heal him? Alistair has approval that reacts to that.